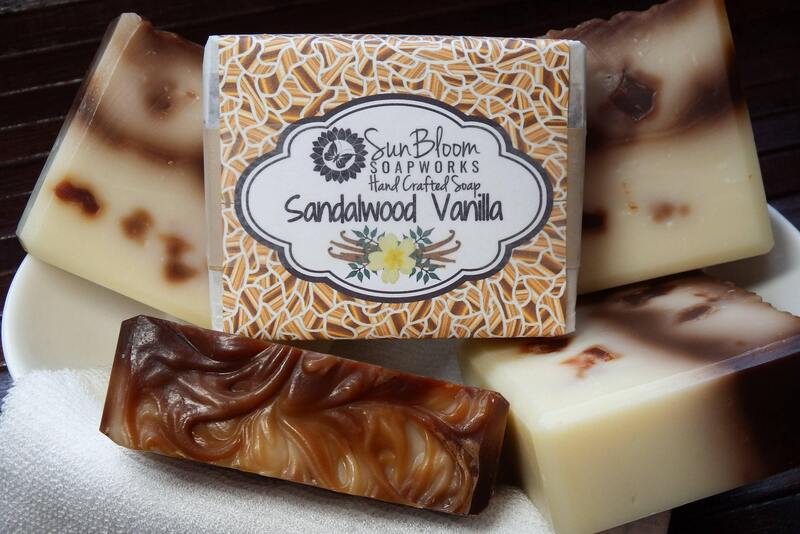 Sandalwood Vanilla Soap is not a super strong 'incense' type of sandalwood. This blend is a rich, softer woodsy musk. Vanilla bean adds a touch of sweet resulting in a warm and comforting scent. This soap is greatly enjoyed by both our male and female customers. Bars weigh approximately 4-5oz each at packaging.